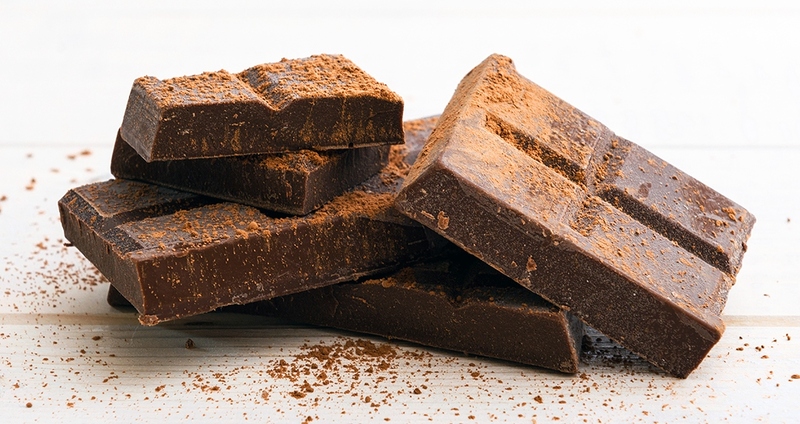 By now you’ve probably heard that chocolate can be healthy. But if you get a bit confused about what you need to consider and look for to buy chocolate treats, then these tips will help you. Happy noshing! While all cacao is chocolate, not all chocolate delivers cacao, but better chocolate should be mostly cacao. This means looking for greater than 65 percent of your dark chocolate to be from cacao, and greater than 50 percent cacao if you are choosing milk chocolate. Your chocolate should be organic. Whether it is the cacao nibs directly extracted from the fruit’s bean or those turned into a powder that’s further processed, choosing organic chocolate helps ensure that you get a cleaner chocolate. Raw cacao and lightly processed chocolate contain healthy fatty acids as well as magnesium and flavonols, making them a great choice (but only choose organic if you are going to have the cacao raw). Heated cacao is cocoa and can still be a quality source of nutrients. Aim for dark cocoa though, to help ensure you get more of the benefits. Cacao and even cocoa can be very bitter; that’s why 100 percent cacao and cocoa are known as bitter chocolate or are used in baking or cooking where other ingredients are added to the chocolate (unless, like me, you love the bitter taste and enjoy the raw cacao or 100 percent cocoa plain, added to things like coffee and oatmeal). Dutch-processed reduces the acidity by processing the chocolate with an alkaline base. This can sound like a good thing—we always want more alkaline-forming foods, right? Not in this case. It is not bad for you, but it is not as health promoting, and through the processing you may lose flavonols (the power plant nutrients that help make chocolate a better-health team player). You are getting mostly cacao or cocoa—so that means only cacao/cocoa butter are added as opposed to milk or butter fat (these are fine for a treat but not for frequent consumption). You are not working at cross-purposes—the benefits of chocolate can’t outdo too much added sugar and certainly won’t be a win over artificial ingredients (aka chemistry-lab projects). Aim for less than 2 teaspoons of added sugar total for your serving of chocolate (that’s less than 8 grams of sugar), and remember that our daily goal it to consume less than 5–6 teaspoons of added sugar (even less if you are dealing with chronic diseases or symptoms). You need to watch the total acid content. Like coffee, sugar, animal products and alcohol, chocolate adds acidity; so consider not having some of the aforementioned when you have chocolate (skip the wine and have the chocolate, or skip the coffee and have white tea with your chocolate), and also make sure to get in your alkaline-forming foods to achieve a better (not perfect) balance of acid and alkaline formers.